Subscription boxes are a popular method of trying out new products without having to leave the comfort of your own home. When you join a subscription box company, you will enjoy a box of theme-specific products delivered to your door on a regular basis for a set cost. While every subscription box company is a little different, they all aim to provide their customers with new, high quality products that are suited to their tastes. What fitness goals are you trying to achieve? Are you looking to achieve calm through a yoga practice? Interested in gaining strength or increasing your running endurance? Choose your box carefully to be sure that the products you receive will be in line with your goals and interests. What price would you like to spend? Subscription boxes are available at a variety of price points. Many companies have separate rates for customers who choose to pay yearly vs. monthly. Consider all the options and choose the one that best fits into your budget. 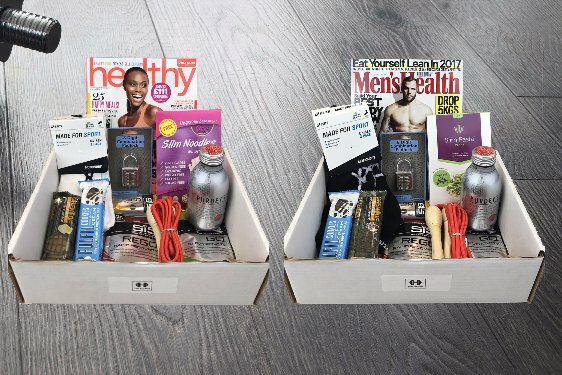 How often would you like to receive your fitness box? Some people may enjoy getting a box every few weeks, while others would prefer more time between boxes. While researching companies and boxes, look carefully at the delivery options that are available. Let’s take a look at some of the most recommended subscription boxes available today. Before we break into the top ten fitness subscription boxes, here are three that have earned a place as the editors top picks. 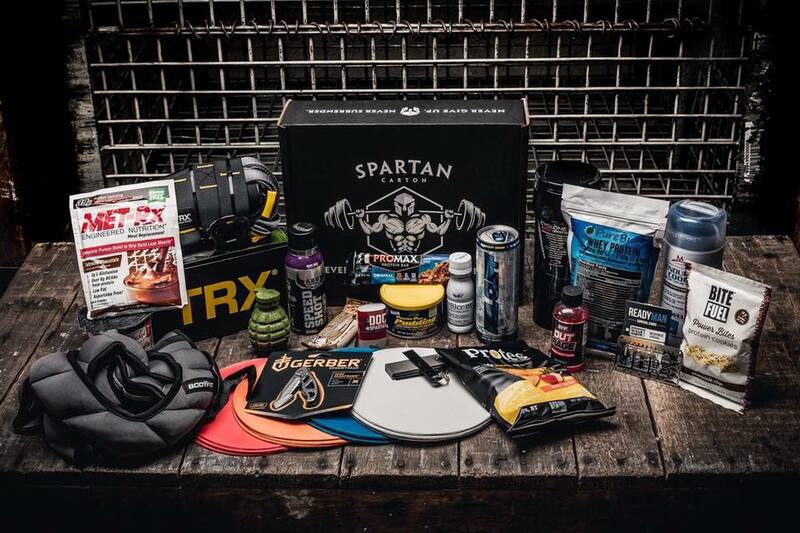 Spartan Carton boxes are geared to the power weightlifter. There are always 3 snacks, 3 supplements and some kind of workout gear included in each box. Whether you are looking to gain muscle or maintain your weightlifting workout routine, this subscription box company was created for you. Cartons are available in two different sizes: the Citizen box is $25 a month and the Warrior box is $99 a month. Boxes include workout motivation and new fitness ideas along with high protein snacks, workout gear or apparel. The Warrior box contents tend to be of a higher quality and value than those that are in the Citizen box. The Yoga Club subscription box provides members with a box of yoga clothes each month. $45 gets you a pair of leggings each month, $69 nets a 2 piece outfit and the $79 option is for a three piece outfit. All items are high quality and chosen just for you based on a membership questionnaire. The brands included are well known and high quality. One of the best parts about becoming a Yoga Club member is that with each box your purchase, they provide a free yoga class for a child in need. All clothing items are fully refundable, so there is no worry that something might not fit. Pretty Fit tailor their nutrition products for a variety of different goals. Whether you want to lose fat, gain strength or muscle, or perhaps you want to look younger or have more energy, each of the Pretty Fit ranges or ‘stacks’ is specifically geared toward the goal you are aiming for. You can order products as a one off, or to see really good savings you can subscribe to a monthly plan, delivered straight to your door hassle free. All purchase have a 30 day money back guarantee and a portion of all profits go toward the Vitamin Angels charity. 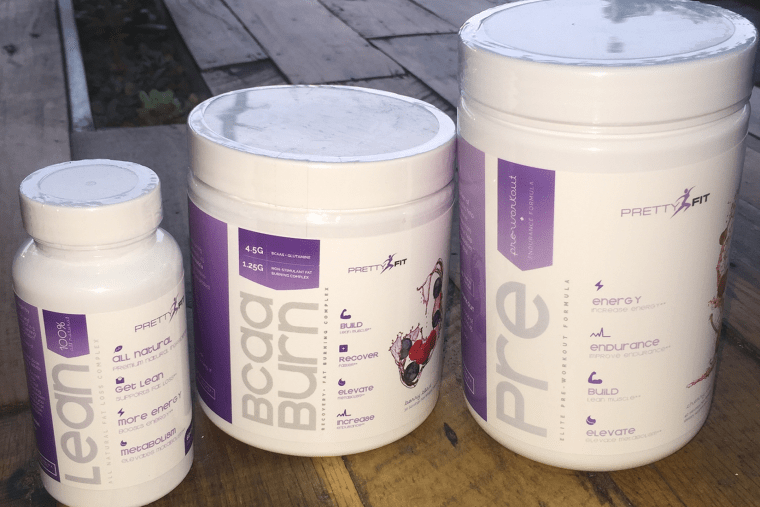 Unlike some super food supplements or meal alternatives, the Pretty Fit range is actually quite tasty, no after tastes that sneak up on you and each product has been well thought through. As far as healthy food supplements and fitness food goes, this is a great product to try. 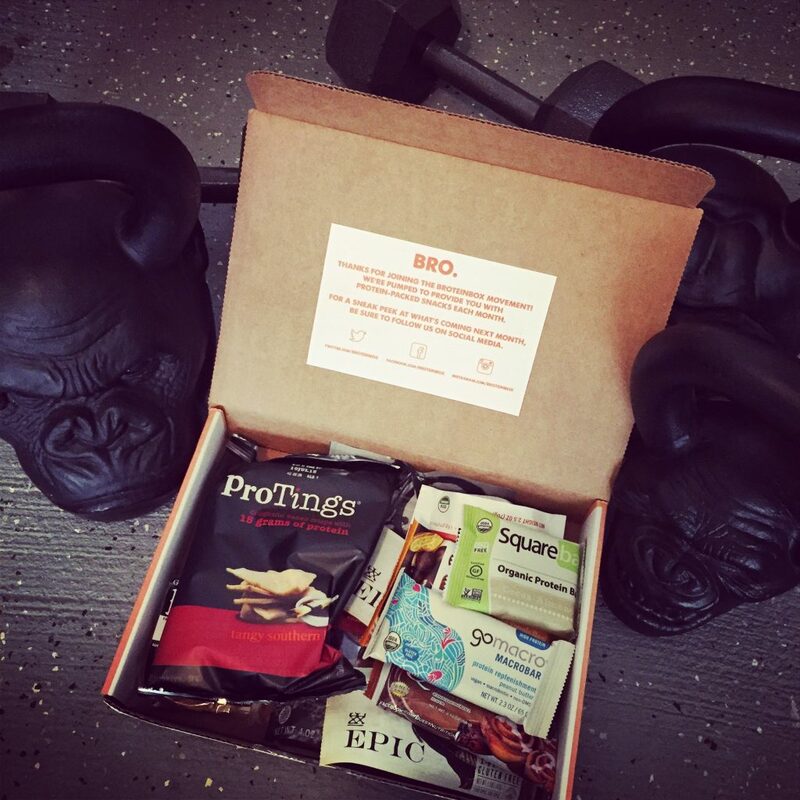 Brotein Box is designed with the protein lover in mind. This monthly box of protein rich snacks may contain turkey or beef jerky, protein chips and bars or a multitude of other delicious snacks that have a high protein count. There are no teaser sample sizes here; the Brotein Box is stocked with 8-12 full size products. At just $35.99 a month (with discounted subscription options,) you will enjoy portable, delicious and healthy snacks each and every month that you are a member. The Gainz Box is the perfect choice if you are looking for a little motivation for your fitness routine and appreciate having items selected just for you. The Gainz Box varies by member; you will be asked to complete a questionnaire in order for the appropriate products to be included in your monthly box. Each box includes a variety of items, which may include gym equipment, apparel, supplements, mobility equipment or snacks. 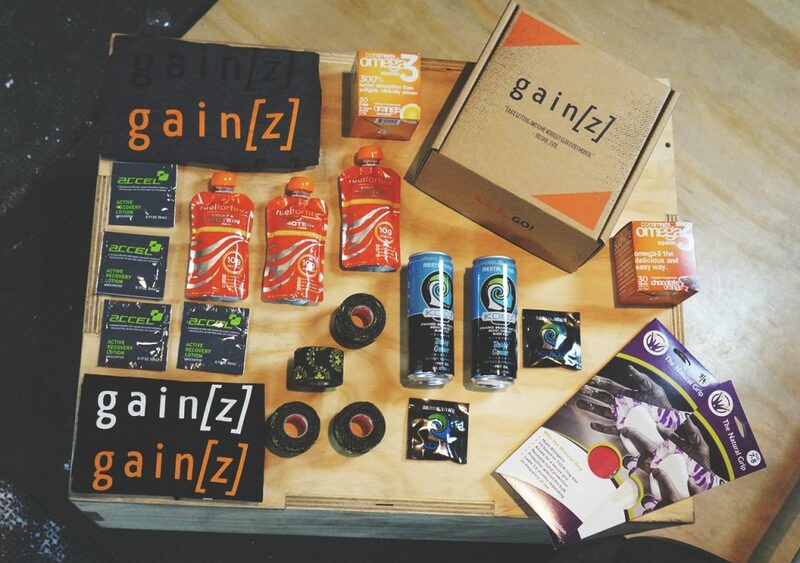 The Gainz Box costs $32 a month, which is an excellent value. Most subscription boxes are not customizable, making this one stand out. The team at Crate Joy looks forward to providing each customer with products that they will use and enjoy and take steps to reach their individual fitness goals. If you are a female cross fit athlete, the Barbella Box was created just for you! Designed and curated for cross fit women, this box contains 4-6 new products each month. Some of those products may include supplements, workout clothing or health and beauty products. Barbella boxes are available monthly, quarterly or annually. The monthly box is a value at $49.99 each month. Subscriptions can be cancelled at any time. Designed for the Mixed Martial Arts lover, Crate Joy’s MMA Pack comes chock full of MMA themed goods each month. 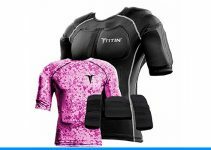 For the $39.99 monthly fee, subscribers can expect to receive fitness and health items selected specifically for MMA trainees, apparel, UFC Gear or other new products relevant to the MMA community. 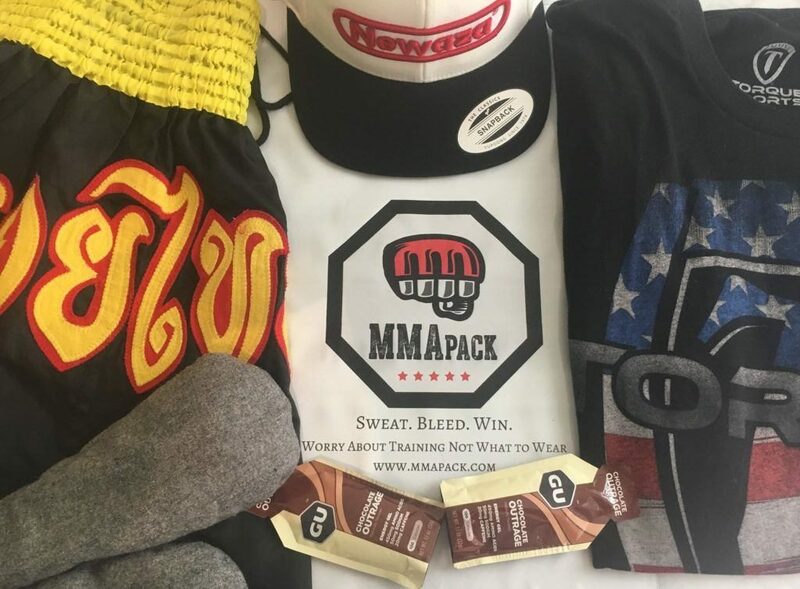 Along with the products that fill each MMA box, from time to time there will be nutrition tips or information on the goings on within the MMA professional and amateur worlds. This MMA Pack can be ordered for yourself or given as a gift to the MMA enthusiast in your life. The cleverly named WODBOM Box (workout of the day, box of the month) was created for the cross fit enthusiast. Each month, subscribers will enjoy a combination of healthy snacks, supplements, apparel, or gym accessories. The $35 a month subscription fee covers the premium, tested and recommended products that fill the WODBOM box every month. Cross fit athletes need gear designed specifically for their workout of choice, and the WODBOM subscription box doesn’t fail to provide. 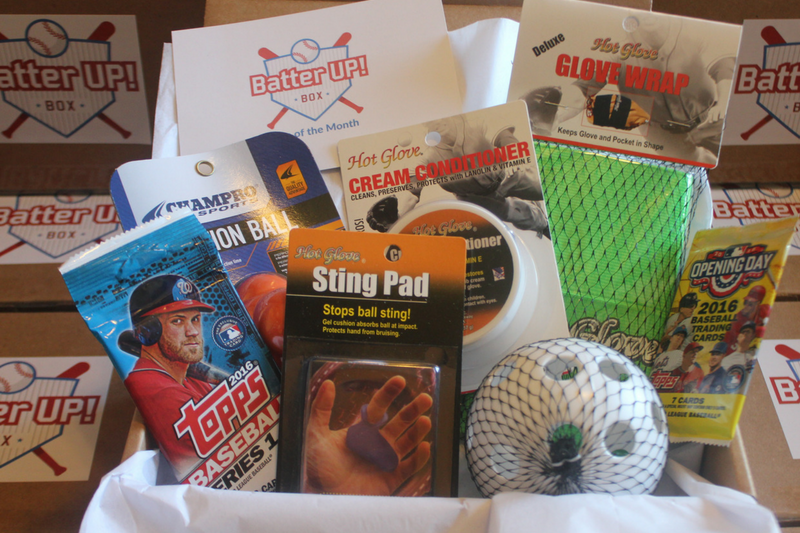 The Batter Up Box is full of amazing items chosen for the young athlete in your life. Designed for children, subscribers can choose between hockey, softball, baseball or basketball to be the focus of their sports themed box. The $29.99 monthly fee pays for a themed box that may include sport specific training equipment, practice gear or tips and tricks for skill building in their sport of choice. The Batter Up Box’s goal is to inspire kids to get and stay active and have fun while playing. 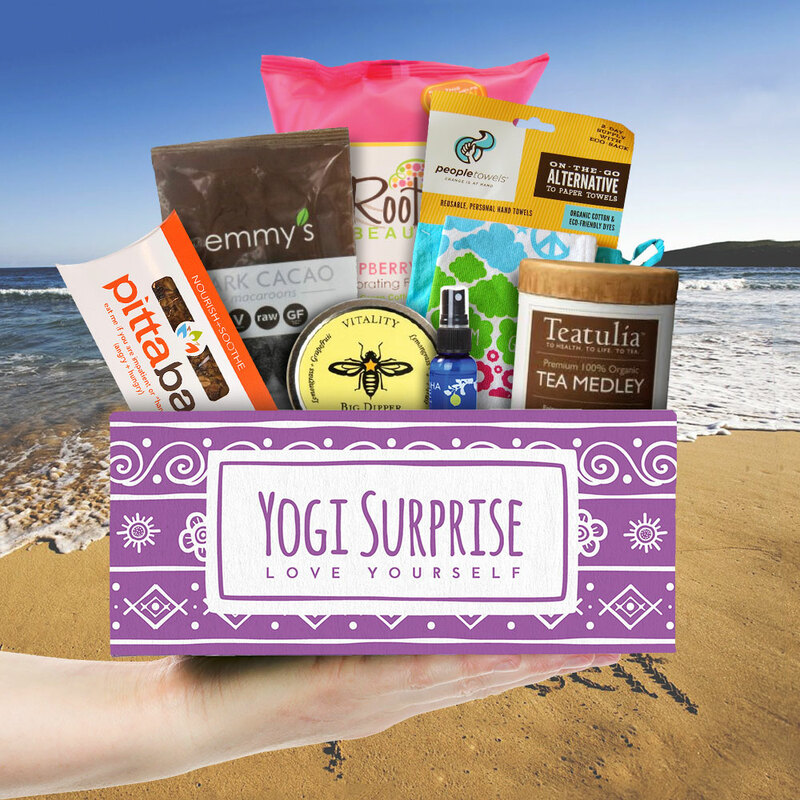 Yogis of all levels and backgrounds look forward to getting their monthly Yogi Surprise subscription box. It always contains full size products that have a value of at least $70. With a $44.95 monthly price tag, this box is an incredible value. Some example of Yogi Surprise Box contents are jewelry, books, apparel, health and beauty products and inspirational decor items. All products are guaranteed to be cruelty free, vegetarian, GMO free and natural. Calling all runners! Crate Joy’s Runner Crate subscription box was created just for you. At an affordable $18.97 a month for a mini crate or $35 for the full size crate, runners will enjoy the latest and greatest from the running world. 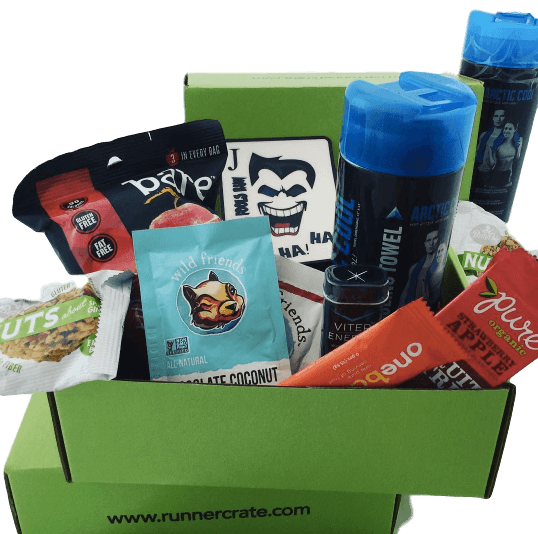 Runner crates may include snacks or running gear that have been chosen by runners, for runners. Whether you are an endurance runner or a sprinter, you will look forward to this Runner Crate every month. The Fit Box subscription box is unique in that it comes from the United Kingdom, sourcing products that may be brand new to American subscribers. As a general health and fitness box, this subscription is ideal for anyone interested in getting and staying strong and healthy. At £14.99 a month, each box is a great value with items that are worth at least £35. Fitness equipment, gym passes, supplement samples and apparel are examples of some of the offerings that have been found in past Fit Boxes. 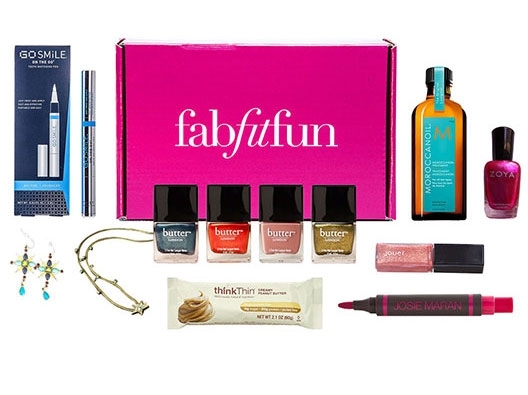 Fabfitfun provides its subscribers with a box chock full of quality health, beauty, fitness and home products every three months. These seasonal boxes cost $49.99 quarterly, making this an affordable treat to look forward to. Some examples of items that may be included in a Fabfitfun box are accessories, home decor, candles, moisturizer, makeup or daily planners. The Fabfitfun team is vigilant in choosing only the latest and greatest products for each box. This company is known for it’s creative, innovative and fun selections. 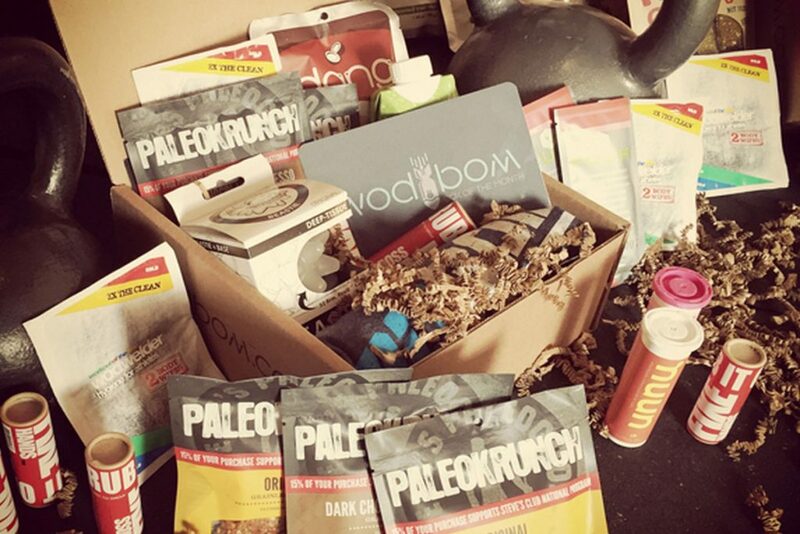 With so many fitness subscription boxes out there, there is sure to be one that fits your needs and budget. How wonderful to live in a time where quality goods can be delivered directly to our homes! No more fighting lines at the mall and only finding sub-par gear. Becoming a subscribing member to any of these companies will result in finding new products that are sure to become regular items in your daily workout routine.